starters for the Paladins in 2018. Photo courtesy of Furman. For more casual observers of the Furman football program, the biggest question entering the 2018 season is obvious - "who's the quarterback?" That question is a given following the graduation of P.J. Blazejowski, who led the Paladins' big-play offense to a Southern Conference-best average of 32.6 points per game last season. But for head coach Clay Hendrix, his biggest question might be, "are the Paladins stronger this season?" Strength development was perhaps the biggest goal this past offseason as Hendrix said he felt his team was exposed at some points last season. He specifically pointed to that following Furman's season-ending loss at Wofford in the second round of last year's FCS playoffs. 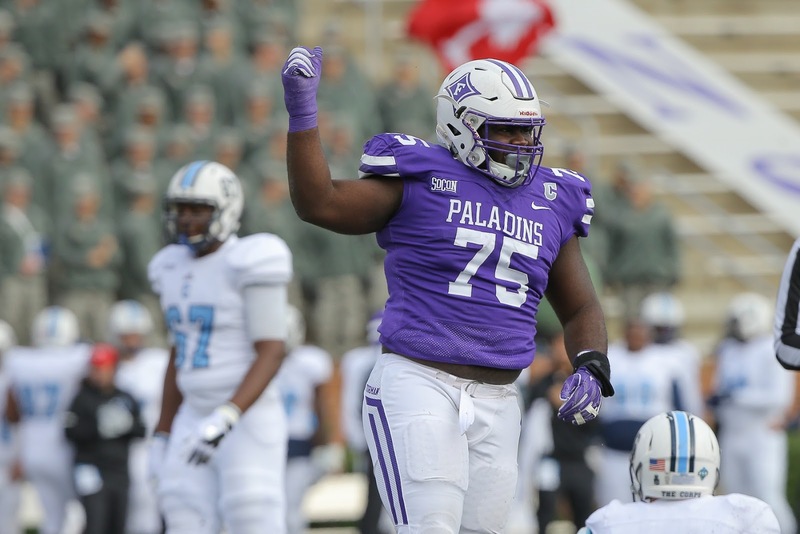 With his first full offseason as head coach under his belt, Hendrix is pleased with the Paladins' physical improvement. "Our hard work in the offseason has paid off. 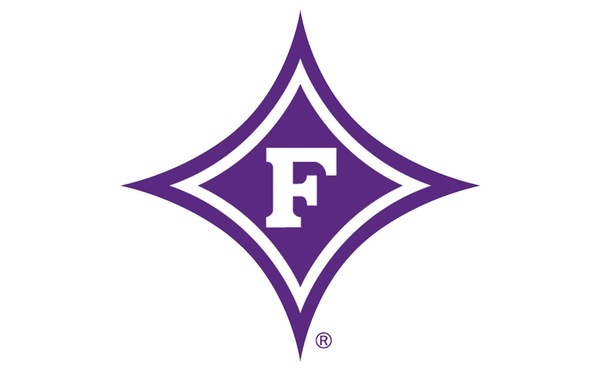 We're a different looking group," Hendrix said following Furman's first practice of the fall season Monday night. "We just had a lot of immature bodies (last season). "People talk about all the kids we've got coming back and we did have a lot of kids that played (last season), but we're still a really young football team. If we played tomorrow, we might only start three or four seniors." Hendrix was particularly pleased to see the condition that his players were in after reporting back to campus on Sunday. "We're in phenomenal condition. We had our kids here in June and they were in good shape, but then they leave and you don't really see them in July," Hendrix said. "We've got a couple guys that have to get with it, but we're in really good shape overall." While the Paladins are stronger as a group, there's a difference between strength and football strength. The latter is part of what Furman's continuing to develop the rest August leading up to the season opener Sept. 1 at Clemson. Hendrix said Monday was a typical opening practice, which was welcomed. "We had lots of energy and enthusiasm," Hendrix said. "I told them I've never been part of team that didn't have lots of enthusiasm on the first day of practice. "We've just got to keep improving each day and creating a little bit of our identity." Monday saw the opportunity for some Paladins to continue to work in what will be new roles for the 2018 season. Most notably is Dillon Vann, who's switched from the bandit linebacker spot to tight end. Furman got a taste of what Vann can do catching and running last year with a couple of nice interception returns. He's part of a group competing to replace Furman's top big-play threat in 2017 in Andy Schumpert. Others on the move this season include DiMarcus Clay - from cornerback to safety, Davonta Porter - from safety to outside linebacker, Donavan Perryman - from outside to inside linebacker, 2017 Freshman All-American Reed Kroeber - from offensive guard to center and Jordan Harris - from defensive tackle to offensive guard. Other changes from the spring roster include the departures of veteran linebacker/safety Joe Farrar, as well as offseason transfers Melton Brown and Cooper Hardin. Brown left school to pursue a career in law enforcement while Hardin had "some medical things that he needed to go take care of and he's trying to do that," according to Hendrix. "I think if you ask any guy on our team, there's no doubt about what we expect. If you don't uphold those standards, you lose that privilege of being with us. It's pretty simple," Hendrix said. "Joe was a good player for us. The great thing about it is that he's taking care of business and needs only a couple of classes to graduate." Monday was the first of 15 preseason practices scheduled for this month before Furman goes into its weekly season mode. The preseason schedule is highlighted by a scrimmage at Paladin Stadium set for Saturday, Aug. 18 at 12:15 p.m. Later that same day, Furman's annual Fan Fest will be held at Fluor Field in downtown Greenville. 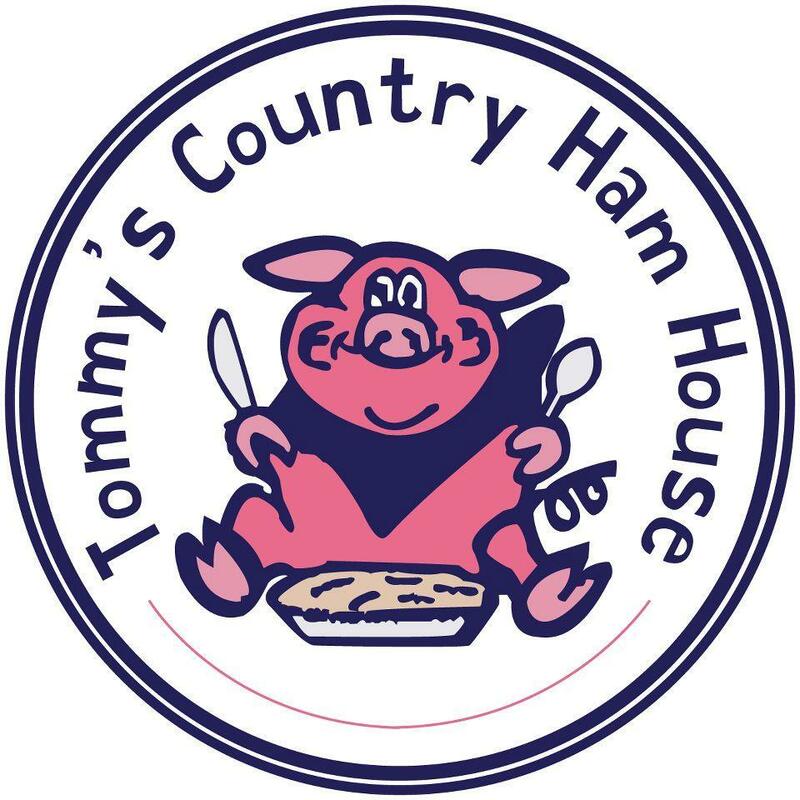 The event will be held from 5:30 p.m.-7 p.m.. preceding the Greenville Drive's game against the Hickory Crawdads at 7:05.